Koesoema Affandi was born in Cirebon, West Java, in 1907 - May 23, 1990 was a painter known as Maestro Indonesian Painting, probably Indonesia's most famous painters in the international world, thanks to a distinctive style ekspresionisnya.In the 1950s he held many solo exhibitions in India, UK, Europe and the United StatesA prolific painter, Affandi had painted more than two thousand paintings. Son of R.Koesoema, an orderly measuring the sugar factory in Ciledug, Cirebon.In terms of education, it includes a formal education is quite high.For people who a generation with it, getting an education HIS, MULO, and later graduated from the AMS, including the education obtained only by a handful of country children.At the age of 26 years, in 1933, Affandi was married to Maryati, a girl born in Bogor. Affandi and Maryati blessed with a daughter who will inherit his father's talent as a painter, the Kartika Affandi.Before starting to paint, Affandi had been a teacher and has also worked as a torn ticket and cinema billboard image maker in one of cinema in Bandung.This job is no longer cultivated because of Affandi's more interested in the field of painting. Around the year 30's, Affandi join a group of Lima Bandung, which is a group of five painters Bandung.They are Hendra Gunawan, Barli, Sudarso, and Wahdi and Affandi who believed served as group leader. In 1943, Affandi held his first solo exhibition in Building Djakarta sons who was ongoing occupation of Japanese troops in Indonesia.Four series - which consists of Ir.Soekarno, Drs.Mohammad Hatta, Ki Hajar Dewantara, and Kyai Haji Mas Mansour - leading the Cultural Section of the sons (Poesat People's Power) to take part.In the Cultural Section of these sons Affandi act as executor and S. workersSoedjojono in charge, who immediately entered into a relationship with Bung Karno. When the Indonesian republic proclaimed in 1945, many painters took part.Train cars and walls inscribed with, among others, "Freedom or death! ".The words were taken from the closing speeches of Sukarno, the Birth of Pancasila, June 1, 1945.When it is, Affandi got the assignment to make posters.The poster was the idea of Bung Karno, pictures of people in chains but the chains are broken.Which serve as a model is painter Dullah.So what words should be written on the poster?Incidentally appears poet Chairil Anwar.Chairil Soedjojono ask, then lightly Chairil say: "Dude, come on man! "And be done with historic posters.A group of painters reproduce day-night and sent to the regions.Where Chairil picked those words?It turns out that ordinary words pronounced prostitutes in Jakarta that offers merchandise at that time. Before and after the proclamation of Indonesian independence on August 17, 1945 which echoed Bung Karno and Bung Hatta, Affandi active in making the posters evoke the spirit of the struggle for Indonesian people's struggle against Dutch colonialism who wish to re-colonize Indonesia.This activity is carried out together with painters and other artists joined in the Cultural Section of the sons, among others: S.Soedjojono, Dullah, Trubus, and Chairil Anwar.Furthermore, Affandi decided to move to Yogyakarta and establish association "Artists Communities" 1945. This society eventually became "Indonesia Young Artists' after S.Soedjojono also moved to Yogyakarta.In 1947, Affandi founded the "People's Painter" with Hendra Gunawan and Kusnadi, to provide learning opportunities to the younger generation is hungry for education and practice of painting.Then in 1948, Affandi moved back to Jakarta and co-founded association "Indonesian Painters Association. "Not long after that, namely in 1949, Affandi get a Grant from the government of India and stayed for 2 years in India.There, Affandi painted activity and also held exhibitions in major cities in India until 1951.Furthermore, Affandi traveling exhibition held in European countries, including London, Amsterdam, Brussels, Paris and Rome.Affandi was also appointed by the Indonesian government to represent Indonesia in international exhibitions (the Biennale Exhibition) three times in succession, namely in Brazil (1952), in Venice (Italy - 1954), and in Sao Paulo (1956).In Venice, Italy, Affandi managed to win prizes. 'PAKEM paugeran' puppet is to be followed by the puppet masters. Nevertheless, the isen-isen in puppet teaching must be adapted to the times. 'Nut kelakone era'. Even in certain scenes, certain figures of speech are also not taboo 'glenyengan' or 'dleweran' to the actual problems that are in the community. 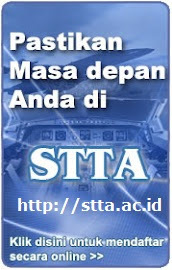 Even when you're in the 'ined, suddenly 'Janaka terkentut', actually is not a taboo. 'Janaka' Is not it too common picture of the human figure? The announcement Ki Hadi Sugito to the KR in 1987. It was the style of puppet Ki Hadi Sugito considered to have suffered far leap forward, innovative and creative. "In the matter of the play, if play-act play 'babonan' I was always exactly the same as what's in standard play. But if you play the stories 'carangan', I did a lot of interpreting my own and adjust to the situation when I 'mendalang'. 'Carangan' stories that was also created solely by our great-grandfather? "Said Ki Hadi Sugito at that time. Besides known there is a balance between spectacle (entertainment) and guidance (education courses), Ki Hadi Sugito puppetry styles since the 70s was known always fresh packed but weighty. Vocal prowess and 'antawecana' mastermind 'Kulonprogo' origin was known to be very good to hear there is harmony between voice and puppeteer with gendhing accompaniment.Therefore, many panggemar puppet who feel as if seeing real life when listening to 'wayang kulit' performance by Dalang Hadi Sugito, though only through radio broadcasts or audio recordings. Ki Hadi Sugito central role in the leather puppet 'gagrak' Yogyakarta have no doubt. 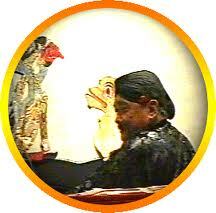 He is one of the masterminds who remain firm believers in the grip Yogya style leather puppet. He totally swept away other puppeteers 'stuck' on the puppet who only put in terms of spectacle and ignores its function as a guide. In the conditions of the observer is concerned because of the traditional arts universe that is 'perkeliran' profanity, January 9, then suddenly came the news that the Maestro Yogyakarta Dalang Ki Hadi Sugito, died. News that too is true, and Ki Hadi Sugito buried at 'Sasana Laya Genthan Kulonprogo', January 10, 2008 exactly 1 Sura 1941 (1 Muharam 1429 H). Concern of the observer of art and the classic leather puppeteer increases, because at this time actually Yogya style of puppetry in urgent need of role models, such as Ki Hadi Sugito. 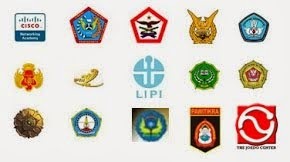 Concern was expressed by, among others Ki Cerma Sutedjo, Ki Sumono Widjiatmodjo and some other mastermind. 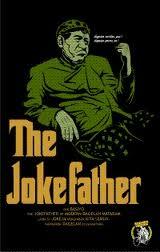 For according to them, the mastermind was a major factor 'keadiluhungan' leather puppet. "For the moment Ki Hadi Sugito is the most appropriate figure used as role models, especially the young puppeteer, puppet style for Yogya remains noble civilization," said Ki Cerma Sutedjo. 'Dalang' from Surakarta, Ki Ancient Asmoro MHum Skar considers that if 'mendalang', as Mr. Hadi Sugito spirit can enter the body puppets, especially when I'm playing 'Durna' figures, 'Togog' and 'Mbilung'. Greatness 'antawecana' to make the puppets as if truly alive today, is the ability of Ki Hadi Sugito not shared by other puppeteers. "Mr Gito really can turn the puppet as his time. But the puppet who played Ki Hadi Sugito fixed classic style, according to the rules and order of the valuable, "said Ki Purbo when representing the artists in the ceremonial departure of the corpse Ki Hadi Sugito, Thursday (10 / 1). As an actor 'adiluhung' art, continued Ki Purbo, devotion Ki Hadi Sugito already complete. He has totality fully alive to the traditional art of the 'noble civilization' into art that is able to follow the times. "Her attitude is 'enthengan' to fellow artists and his strong grip hold on the classic puppet 'Gagrak Ngayogjakarta', an attitude that is very worthy of imitation, for leather puppet is really still 'noble civilization,'" he said. 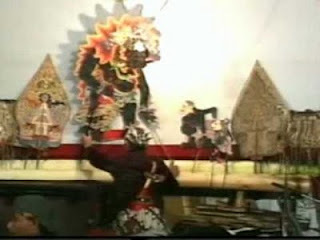 About 'keadiluhungan' puppet, Ir Haryono Haryoguritno of the National Secretariat of Indonesian wayang (Senawangi) say, a work of art can reach 'kemahakaryaan' as determined by the human performers (artists concerned, in this case mastermind), the atmosphere around the supporting performances, climate artistic activity in an area, and other factors that support 'keadiluhungan' puppet. Citing the book contents Sastramiruda puppetry, Ir Haryono Haryoguritno describe that to go 'keadiluhungan' puppet, a puppeteer must meet 12 requirements. Among 'antawecana' (appropriately voiced their puppet), 'renggep' (to present an exciting spectacle, 'nges' (to dramatize the scene so as to evoke a sense of involvement viewers / listeners), 'tutug' (to present the story through to completion), 'gecul' / jokester ( can make a joke) and 'kawiradya' (to distinguish 'janturan' for each scene. Chairman Pepadi Kulonprogo, Ki Sumono Widjiatmodjo say, Mr. Gito is known as the mastermind 'gecul ning ora' indecent. In the case of 'antawecana', Mr Gito very tough, especially when playing characters Durna, Togog and Mbilung. Even in play Bagong Twins, viewers or listeners can clearly distinguish which Bagong the original and the fake. Basiyo is a comedian from Yogyakarta by using Java language.Basiyo jokes became popular in Central Java through radio,television (TVRI), and various recordings.His joke often referred to as slapstick Mataram, according to the name of his show on RRI Yogyakarta. In a buffoon, he used together with Sudarsono, Hardjo Gepeng,Suparmi, Pujiyem, Ngabdul, Atmo Kemin, his own wife (Mrs.Basiyo), as well as friends - the others. Mostly, they are employees of RRI Nusantara II, Yogyakarta, as most of them are accommodated by the government at that time. He is not just a comedian, but also succeeded in popularizing thetype gising "Pangkur Jenggleng", namely, how to sing (nembang)Java that can be interspersed with jokes, without losing the rhythm of the song being sung. How to beat gamelan too, is unusual,because of greater reliance on drums as the main accompanimentto end up on the beat (bar) was last used as a time to beat all thepercussion instruments (especially saron) top of my lungs.Although using the Java language and the "old products", the nameBasiyo reappeared. Basiyo often collaborate with the names of famous artists in theworld and his time, such as Bagong Kussudihardjo, KiNartosabdo, Nyi Tjondrolukito, and others. Some of his admirers,such as cultural Umar Kayam, painter Affandi.